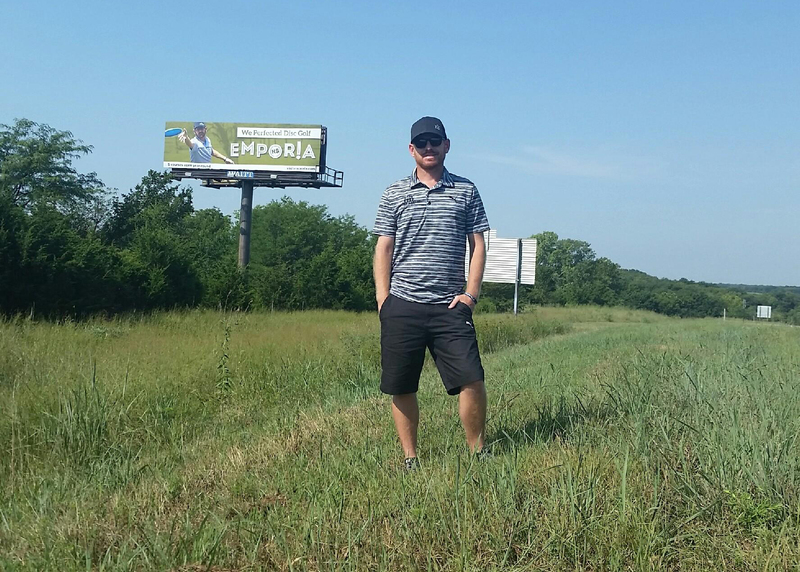 The City of Emporia, Kansas, has become a disc golf destination. But that hasn’t always been the case. And if it weren’t for the creative vision of 2010 PDGA World Champion Eric McCabe, it may have never happened at all. When McCabe was first introduced to disc golf, his hometown was only beginning to embrace the sport. 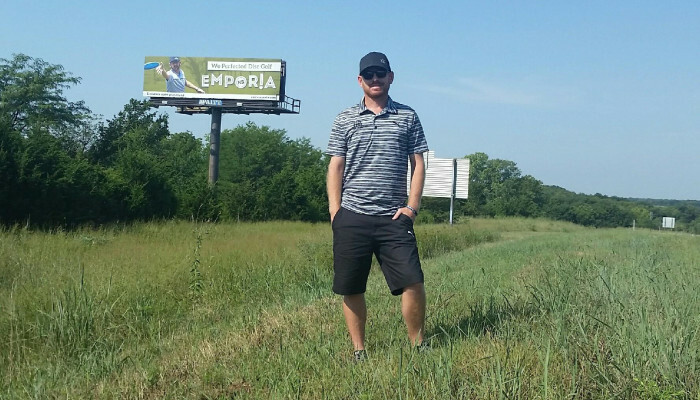 Though disc golf is now a leading tourism attraction in Emporia, the city was initially hesitant to invest heavily in the venture. 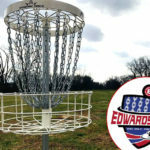 McCabe’s first foray into disc golf course design was largely funded by the Emporia Disc Golf Club, which agreed to pay for the baskets and tee pads. The city finished installation of the ground sleeves at Jones Park before the club finished raising the necessary funds for baskets, so for about a year the two courses shared Jones West’s original 18 pins. 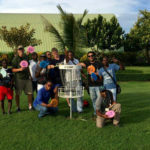 Every other week, McCabe and the Emporia Disc Golf Club would switch the baskets from one of the courses to the other. After plenty of challenges and sacrifice, McCabe’s new course proved to be a success. He has since partnered with the city on several other courses, including the Peter Pan course. McCabe’s courses are utilized annually for the Glass Blown Open tournament, which gathers the world’s most elite players together for a grueling competition. Since 2014, McCabe has been further investing in his passion as the primary designer for Dynamic Course Design. “Disc golf has been a part of my life for a very long time,” McCabe said.” I’ve been playing longer than I haven’t. As I got older, as everyone does, I started thinking about my future. I absolutely knew I wanted to do something disc golf related. I very much enjoyed the courses I had put in already. The attention to detail that McCabe is able to bring to his course designs comes from years of experience playing on premier courses all over the globe. That knowledge allows him to anticipate issues that could occur on one of his courses and create design solutions that don’t sacrifice the player’s enjoyment. 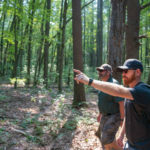 “I believe if you’re looking for more of a championship-level course, then you’re absolutely going to want to go with experience,” McCabe said. “I’ve traveled all over the world playing, I have played hundreds of courses in that time. Let us know if you are interested in having Eric McCabe design a course for you or your club. 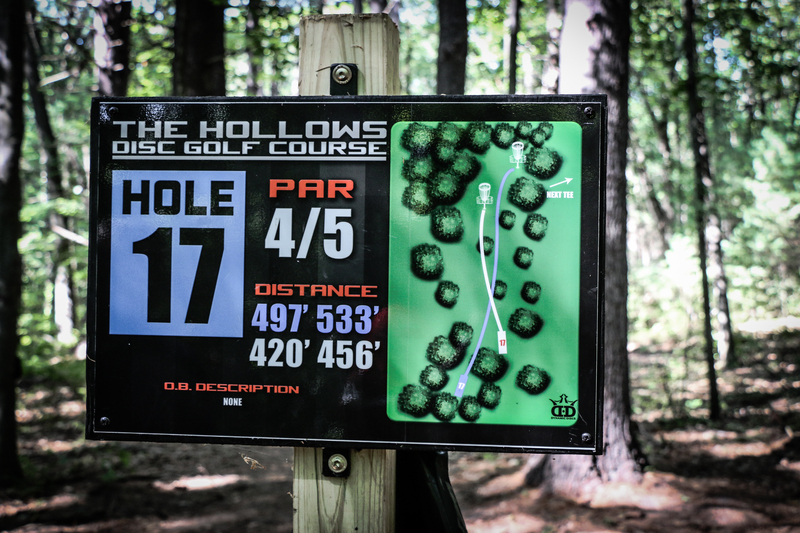 Thank you Eric for the Hollows Disc Golf Course in Manchester NH. !! We don’t have a large park are in our small town. Is there a way to run a course throughout town?